Dog Bones with meat in the middle. Made with real meat in the center. 6 oz. package. Three great varieties. 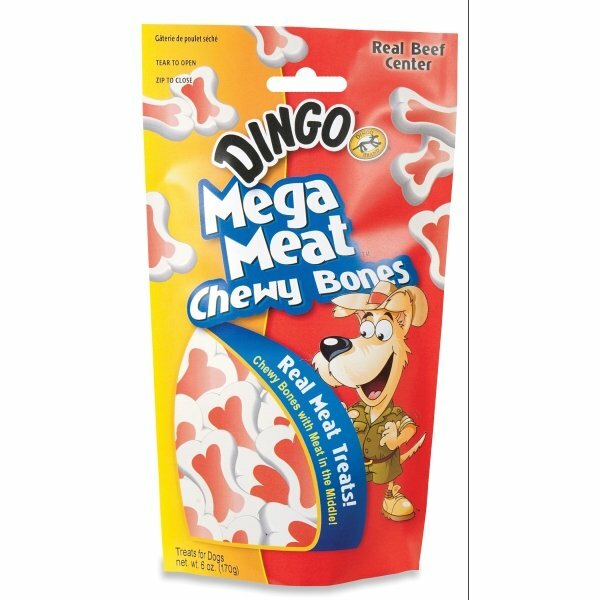 Mega Meat Dog Bones 6 oz has different options and/or variations, please choose below. Dog Bones with meat in the middle. Made with real meat in the center. Chewy bones with meat in the middle. Made with real beef in the center.